The Service was held in St. Peter’s as usual at 11am. The King’s College Service uses different hymns each year, with one being a new carol written especially for the event, although the scriptures are always the same and the first song is always Once In Royal David’s City. Geoff played the song for us with the King’s College Choir and the traditional chorister solo on the first verse. This hymn accompanied the first ‘lesson’ using the scripture in Genesis 3:8-19, read by Jo Esom. Chloe was supposed to read some of the scriptures but took ill this morning and Jo filled in for her. This scripture speaks of Adam and Eve in the Garden of Eden and the serpent bruising the heel of the ‘seed’. We then sang Angels From The Realms Of Glory which sings of angels, shepherds, sages and saints—us. The second ‘lesson’ was from Genesis 22:15-18, read again by Jo and tells of all nations blessed through the seed of Abraham. We thrilled to the strains of Handel’s Messiah chorus, For Unto Us A Child Is Born, taken from Isaiah 9, foretelling the coming of a Saviour, with the next ‘lesson’, which was from Isaiah 9:2, 6-7, also read by Jo. We sang O Come, O come, Emmanuel to accompany the ‘lesson’ about the root of Jesse and the Lion & the Lamb read from Isaiah 11:1-9 by Jean Sole. 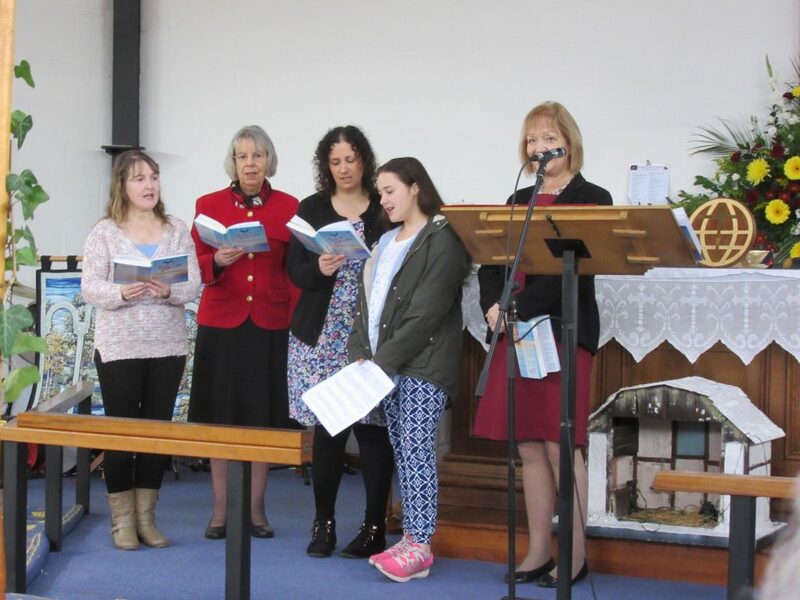 We listened to King’s College choir singing ‘Gabriel’s Message’ with Shannon Esom reading Luke 1:30-31 for the fifth ‘lesson’. *We are thankful for those events so long ago and wonder if perhaps the shepherds were watching over the sheep destined for sacrifice just as the lamb of God came into the world as the sacrifice for all mankind! Shannon Esom read Matthew 2:9-11 for the eighth ‘lesson’ regarding the Magi coming to worship Jesus. We sang As With Gladness Men Of Old. 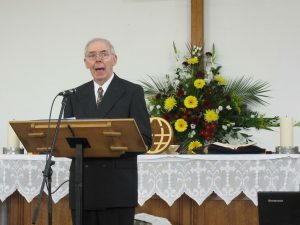 David Silcox gave a short inspirational message, reading Deuteronomy 18:18 that a prophet would be raised up with God’s words in His mouth. We can rely on God’s words—they are the hope of peace and eternal life. As he has spoken, so shall it be! 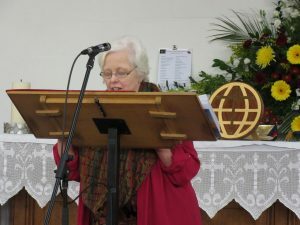 The final ‘lesson’ was from a reading of John 1:1-14 read by Linda Halford—the Word was with God, the Word was God and became flesh to dwell among us as the light of the world. After we sand the final hymn/carol, Hark! The Herald Angels Sing, Geoff Sole closed the Service in Prayer. Fellowship continued over Refreshments in the Church Hall. The last Bible Study of the year tool place as usual in the upstairs room of the St. Stephens Parish Centre in Bricket Wood on Friday 23rd December 2016 at 7:30pm. 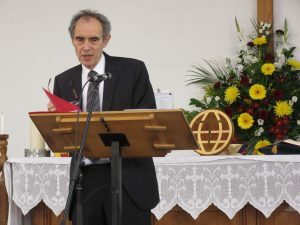 John Stettaford delved deeply into the history and culture that led to the writing of the book of John, which will be a good grounding as we study the book and its meaning and application for the world today. We really, actually, begin the book of John at the next Bible Study, which is to be on 6th January 2017! Please join us. We finished for the year with mulled wine and mince pies.